This print is called oldandnew. 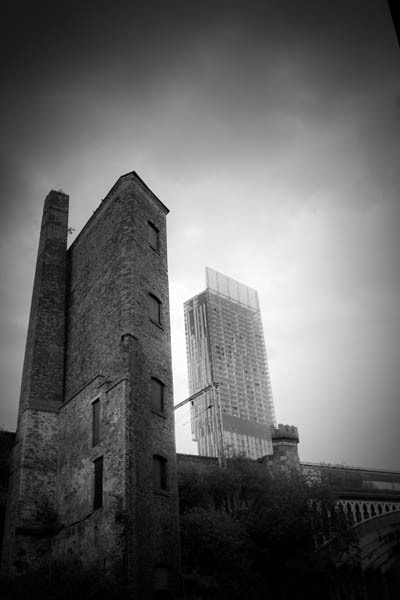 Two engineering projects in Manchester, one old and one new. The Beetham tower towers above the city. It was opened in 2006 amid mixed reviews but is now seen as a much loved feature of the Mancunian landscape.